Citing Supreme Court precedent and existential Czechoslovakian literature, the San Diego ACLU sued top immigration officials for unconstitutionally preventing a born-and-raised U.S. citizen from returning to the United States from Mexico. Like Joseph K. in Franz Kafka’s The Trial, Oscar Olivas, a 45-year-old natural-born U.S. citizen, has been detained but does not know why, is unable to access the court before which he stands accused, and has not been allowed to view any evidence used against him. Olivas was unlawfully exiled to Mexico in 2011 and has been trying for three years to convince Customs and Border Protection that if he would be allowed a hearing before a judge, he could demonstrate his citizenship and return to his home and work. Olivas’s nightmare began in August 2011 when he tried to return to the United States from Mexico as he had done numerous times in the past without incident. CBP agents refused to allow him to cross the border. They disregarded the proof he carried with him—a birth certificate, Social Security card, and a California driver’s license—and apparently relied solely on the false statement that consular officials coerced from Olivas’s mother in December 2010. The officers exiled Olivas to Mexico and told him he would have to argue his citizenship claim in front of a judge, but it appears the officers never referred Olivas’s case to any court, depriving him of an opportunity to return to his home country. Olivas was born in the San Gabriel Valley in Los Angeles County in 1969. His mother was unwed and did not have legal immigration status, though she later became a U.S. citizen. Fearful of giving birth in a hospital , she delivered Olivas at home with the assistance of a midwife. Births in private residences were not uncommon at the time. 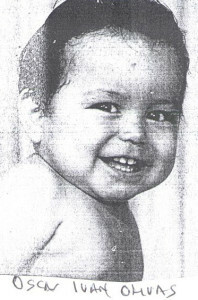 At an early check-up, a doctor advised that she register Olivas’s birth with the county. 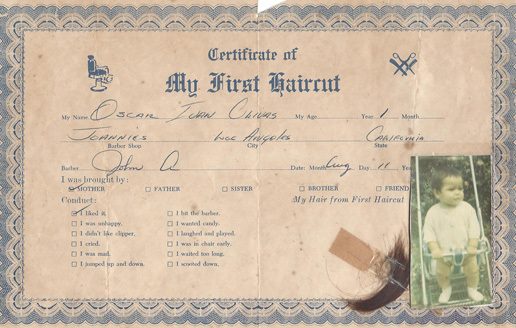 Olivas’s mother registered his birth when he was five months old and received a birth certificate from the county. Olivas also has a certificate of baptism, a Social Security card, and a state-issued driver’s license, all of which corroborate that he was born in the United States. In 2009, Olivas began the process of applying for an immigrant visa—a “Green Card”—for his wife and step-son based on his status as a U.S. citizen. This process can take months or years and required Olivas’s wife and stepson to live in Mexico while their applications were pending. The Olivas family planned to stay together in Mexicali, which would allow Olivas to cross the border for work, and his U.S. citizen daughter to attend school in the United States and receive treatment for her speech and language impairment. Olivas’s wife was interviewed at the U.S. Consulate in Juarez, Mexcio, as part of her visa application process. A consular official told her that they would need to interview Olivas’s mother as well. In December 2010, Olivas’s mother, Delia Perez, traveled to the consulate, expecting a brief and non-adversarial interview. Instead she was confronted by three officers who told her that they believed her son’s birth certificate was fraudulent. One of the officers threatened that Perez would lose her citizenship and be prosecuted for fraudulently obtaining a birth certificate unless she admitted that Olivas was born in Mexico. Perez reasonably felt intimidated and that she would be detained until she signed the declaration. After several hours, she ultimately signed a pre-typed declaration, which was not read to her. Olivas and his family are suffering extreme emotional and financial distress in Mexico. Because he is not a Mexican citizen, he cannot work in Mexico to support his family. 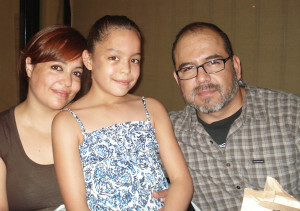 Olivas’s young U.S. citizen daughter does not receive the special education and language and speech therapy she requires and which she would receive in the United States. Olivas and his daughter miss their home country dearly. The lawsuit was filed in federal court in San Diego, naming the port director of Calexico, the San Diego field director of CPB, Jeh Johnson, the Secretary of Homeland Security, and John Kerry, Secretary of State. The suit asks the court to allow Olivas to return to the United States, declare that he is a United States citizen, and affirm that the order exiling him violated the due process clause of the Fifth Amendment.